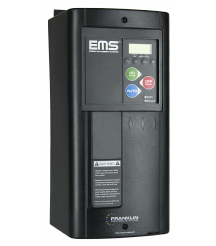 Power metering, optional BACnet or Modbus communications, and an intuitive interface allow the EMS to integrate seamlessly with building automation systems. By combining starter operation with controls, you extend equipment life and save energy. Installation is cost-effective thanks to integrated sensing and control points. Equipped with advanced I/O including Fireman’s Override and damper control, the BAS was designed from the ground up for easy integration with automation systems. 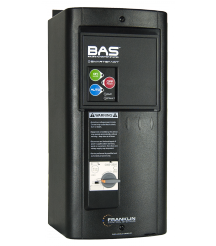 With a 200 to 600V input and 1-40A adjustable overload, the BAS is the right starter for almost any job. 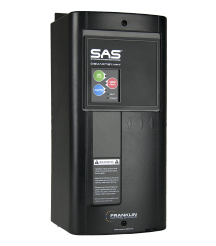 Like the BAS, the SAS accepts 200 to 600VAC incoming power, making it a plug and play device. The 1-40A electronic overload ensures you will have the right starter for the job, and Smartstart revolutionary technology protects motors from potentially harmful start-up conditions. The SAS is automation compatible. 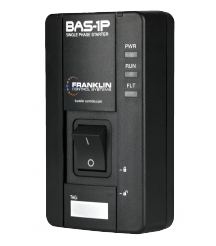 The BAS-1P protects single phase motors with an adjustable 1-16A class 10 electronic overload. It includes features like run status verification, a concealed Hand/Auto switch, lockable on/off switch, and system override mode (smoke purge). All of this in a compact design that installs on a single junction box. 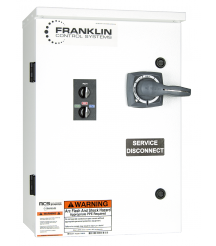 The Advanced Duplex Controller offers lead/lag and alternating with HOA switches for independent local or remote operation and dual run pilot lights to indicate motor operation. Using a wide range electronic class 1-30 overload, the APX has advanced protective features including phase loss, unbalance, stall protection and manual reset. 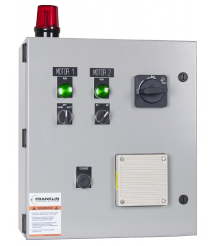 The Duplex Alternating Controller offers alternating control by relay, 24-hour timer, 7-day clock, or manual selector switch. Using a wide range electronic class 1-30 overload, the DPX has advanced protective features including phase loss, unbalance, stall protection and manual reset. The MCS is an advanced controller for part winding, wye-delta, 2 speed 2 winding, and 2 speed 1 winding reconnectible motors. Using our advanced SCM platform, this patent-pending motor controller integrates timers, controls, overloads and everything necessary for a complete starter. Plus, power monitoring, motor protection and more make the MCS unmatched in performance and features.